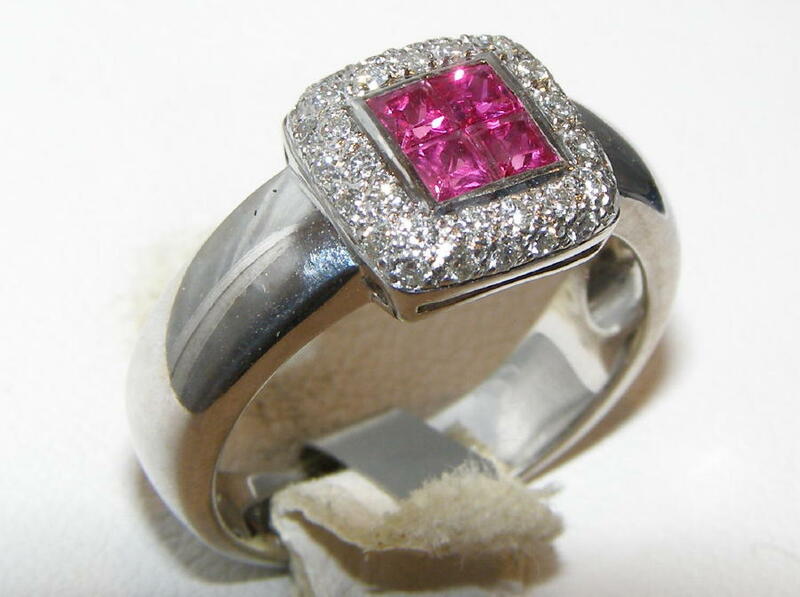 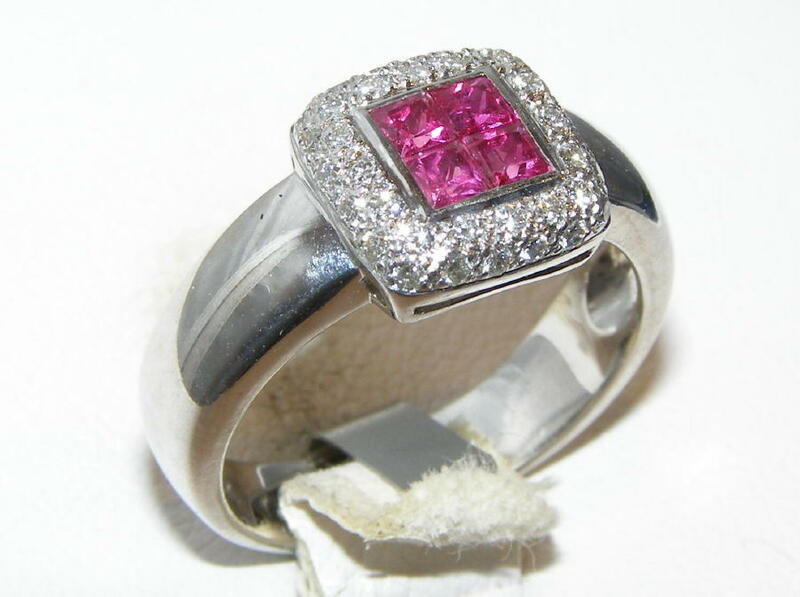 Pink sapphires continue to sell very well and with increasing demand the supply of quality stones particularly those with intense rich color or those over 1.50 carats has dwindled. 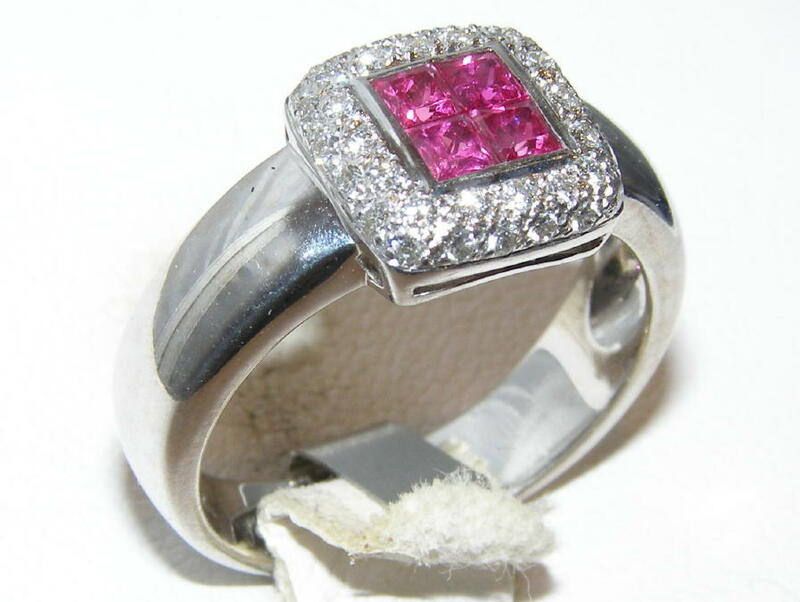 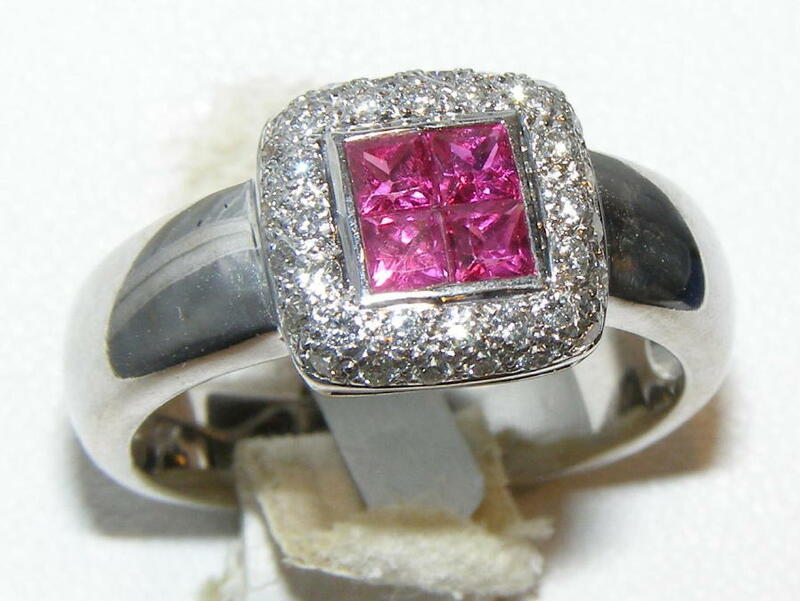 HOT intense pink color that is considered the finest quality available AAA+ classifies these beautiful princess cut and invisibly set Ceylon sapphires. 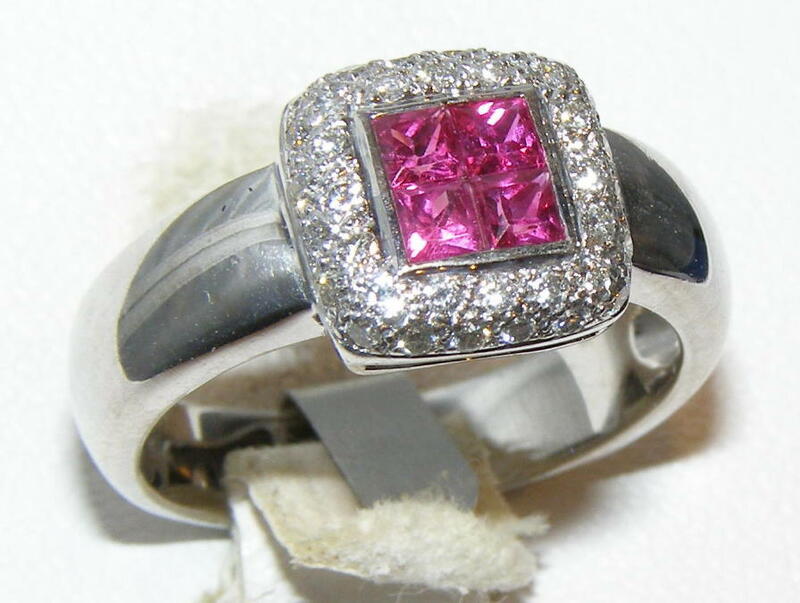 The center portion of the ring is comprised of four carefully faceted sapphires that are set together for a uniform square presentation. 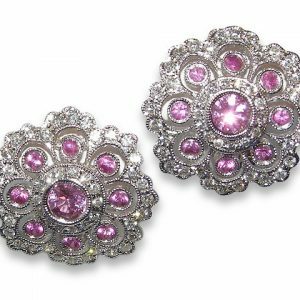 The sapphires are rated AAA+ for their rich intense pink color that has ideal saturation throughout the stones, excellent clarity, top princess faceting and spectacular pink brilliance. 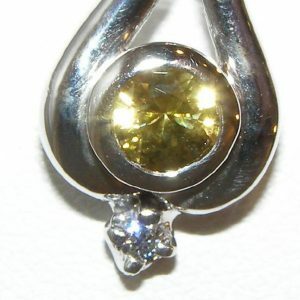 Surrounding the sapphires are 31 round brilliant ideal cut diamonds of the finest quality that are VVS1 clarity (next to flawless) and E color (one of the highest color grades). 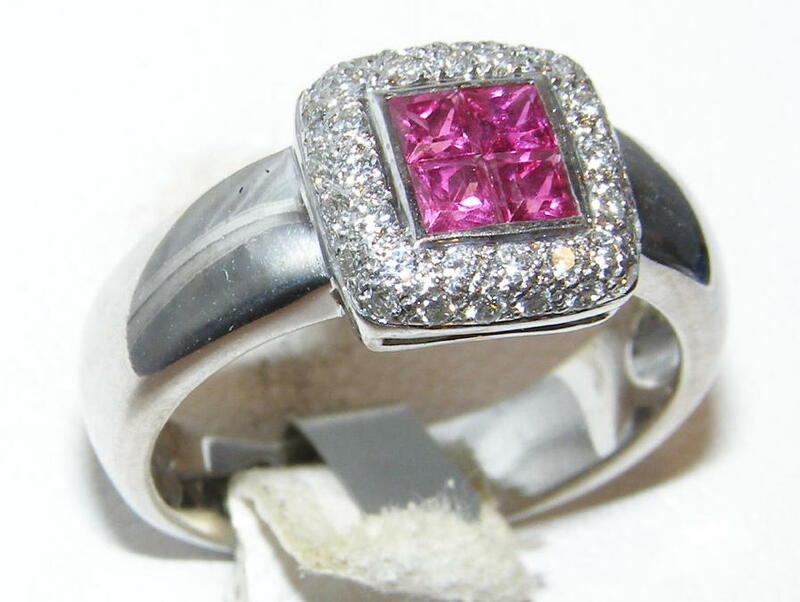 The ring weighs 4.8 grams of 14K white gold and is a size 7 (please request complimentary resizing on your order form).